The Beauty Scoop! 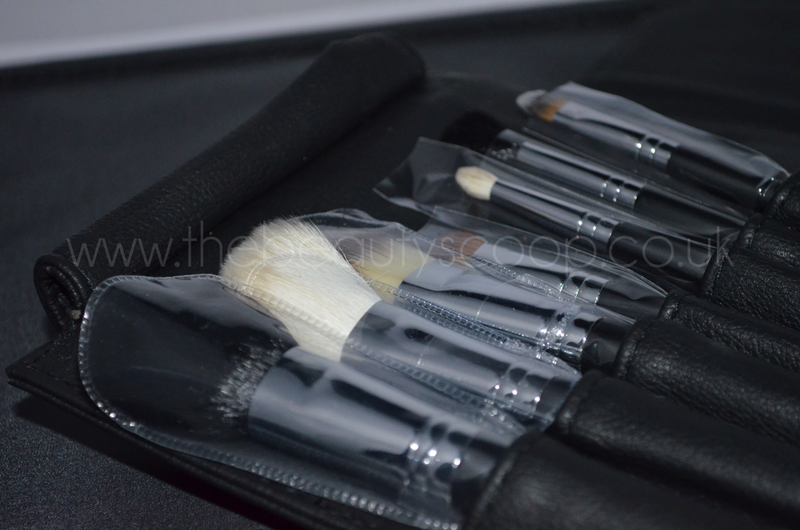 : Competition - Win a Sigma Travel Kit Brush Set!! 1. Follow me via GOOGLE FRIEND CONNECT (see the picture below if you’re unsure what this is) – you MUST do this, otherwise your entry will not be valid. 2. Leave me a comment in the post below with your Google Friend Connect name (the name that shows above the GFC icons when you’ve followed me – see example picture below). 3. In the comments box, please also leave details that I can use to contact you (it can be email, twitter or any other way that I can get hold of you) if you win! 4. For one extra entry you can follow me on Twitter and tweet 'WIN a Sigma Travel Kit Make-Up Brush Set worth $49 with @The_BeautyScoop! http://www.thebeautyscoop.co.uk #Competition' - if you're doing this, please don't forget to leave your Twitter name in your comment in the box below! This competition will self destruct end in 1 month, on 30th September 7th October 2011 at 11:59pm (GMT) and is open internationally. Edited: I've added 1 week onto the closing date due to receiving a few emails from people who have been struggling to enter because of Google Friend Connect. Hopefully this should give them time to enter! Fantastic prize, I've been lusting after this travel set, so practical but totally lush!! Great giveaway, in need of new brushes! Hi! Oooh, I have been wanting to try Sigma brushes foreever! I've read about these brushes, they look fab. Following as Joannabella, will tweet too as @boldnbella..
Love love love this giveaway!!! I am following on GFC as Claire Trevor. I am following on twitter and have also tweeted! Hello, thank you for this giveaway! Amazing giveaway! The brush set looks fab! Great giveaway! I'm definitely in need of new brushes! They look a fabulous set of brushes.. I follow you via GFC as BooBooNinja. You can reach me at: hermano (dot) buster (dot) bluth (at)gmail(dot)com. This isn't the email that is linked to my GFC, but I've decided to create a separate email for instances where I have to make my email public to the world. I hope that's okay! GFC : I kind of screwed it up its either Sweet Nuckum or Sophie. These are brilliant brushes would love to add to my collection! Follow you on GFC as Damla (Sweepstake Lover). Thank you! I follow you on Google Friend Connect and the name I use is Diane Kleiman. Well, I think I just about covered everything. Good luck to all and thank you for giving your fans the opportunity to possibly win this very generous prize. Ah, another giveaway! Thank you so much! My GFC is Bone Jangles. Piper nettysgirl at gmail.com via gfc Ty! OMG I would love to win those beautiful simga brushes for my daughter and I.Thank you for the awesome giveaway. I also tweeted your giveaway! I really need new brushes! It was only last night I was looking at sigma brushes..wish I could afford them! 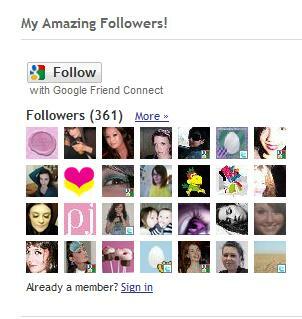 I follow you on Google Friend Connect, my name: Gia F.
Following through GFC as Jules. Following as abritontheside and reachable at abritontheside@gmail.com. Thanks! I've followed your blog and I've followed on Twitter and tweeted your tweet, my Twitter name is @snowted and my Facebook name is Tink Lee Mse. You can contact me on twitter @tracyknixon or Facebook Tracy K Nixon. I have shared on facebook! Following GFC _ It's a winning giveaway. Following on Twitter and have tweeted. great prize! would like to win to get ready for my trip to Down Under.